Regional co-operation is the coming together of countries within a region with the aim ofmaking things better for everyone. The countries usually sign agreements that clearly state the reasons for working together and form organisations to achieve their aims. 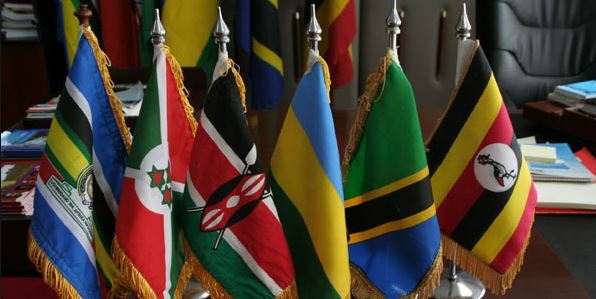 The two regional organisations in Eastern Africa are the EAst African Community (EAC) and the Inter-Governmental Authority on Development (IGAD). 1. East African Community (EAC). 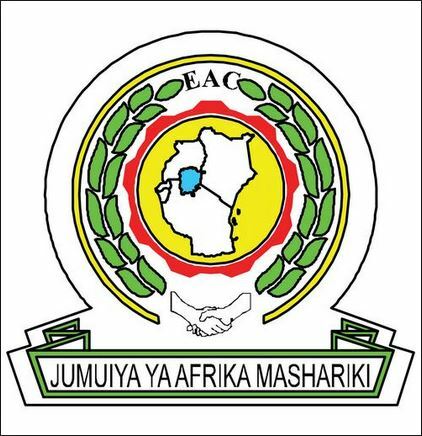 The EAC was established in 1967 by Kenya, Uganda and Tanzania, but it collapsed in 1977. In January 2001, an agreement was signed and the three countries re-established the East African Community. In July 2007 Rwanda and Burundi were also admitted as members. 2. 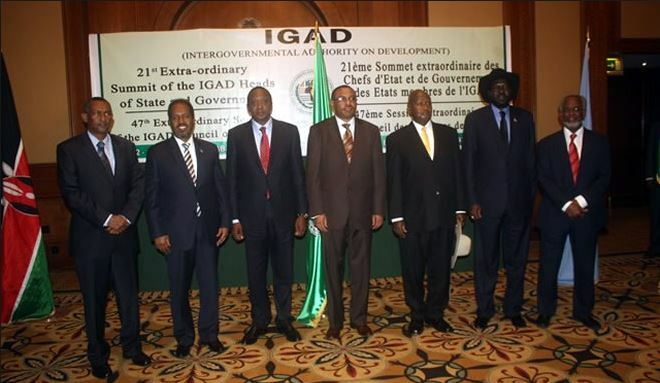 Inter-Governmental Authority on Development (IGAD). 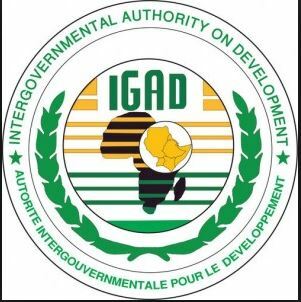 IGAD was formed in 1986. The six founding member countries were Ethiopia, Djibouti, Kenya, Uganda, Sudan and Somalia. Eritrea became the seventh member after it attained independence in 1993. The headquarters are in Djibouti. To promote economic development of the region. To make use of natural resources in the region while protecting the environment. To strengthen political, economic, social, educational, health, science and technology and cultural ties between the member states. To encourage the private sector to take part in developing the area. To promote the rule of law in the region based on democracy and justice. To promote peace, security and stability in the region by setting up an East African judicial system. To promote the role of women in development in the region and involve them in EAC programmes. It aims to set up a regional defence force. To link its ideas with global trading blocs such as the World Trade Organisation. Establish a common East Africa passport which will enable people in the region to work and move freely within the countries. To introduce a common currency to ease trading in the region. To increase the population by bringing it together so as to create a larger market for products and attract investors. The countries established a customs union in 2005. They began working towards establishing a common market by 2010 and a common currency by 2012. To prevent wars from breaking out in the region.Also, to end wars and reach agreements between the groups at war. So far, committees have been set up in Ethiopia to deal with the war in Sudan. Also, another committee has been set up in Kenya to deal with the war in Somalia. Manage war situations by taking part in peace-keeping missions and taking care of refugees. Develop and improve transport and communication systems in the area. Make sure that there is enough food to feed people in the area. To conserve and protect the environment. To promote and strengthen co-operation in research development and application in science and technology. To create an environment that will encourage foreign investors, and cross border and domestic trade within the region. To create policies on trade, communications, agriculture, natural resources and customs and promote free movement of goods, services and people within the region. To find lasting solutions to food shortages caused by frequent droughts in the region. To improve the economies of member countries to eradicate widespread poverty in the region. Lack of money: Financial problems have paralyzed the day-to-day activities of the EAC secretariat. Lack of trust among member countries: Some members feel that other countries such as Kenya may benefit more because they are ahead in development. Different political views: This slows down the plans to have a united political region. Trade barriers: Different countries have different rates that they charge for trade goods. This hinders free movement of goods. Different currencies: Each country has its own currency. The currencies exchange at different rates against the international currencies which are used for trade. This slows the process of trade. Poor transport network: This limits movement of goods to the interior. Only large towns have good roads and railways are few. Language barrier: While Rwanda and Burundi use mainly French, the other countries use English and Kiswahili. This limits communication among people. Production of similar goods: Countries in the region produce similar agricultural goods. This means that demand for them is limited. Political instability: Some member countries have been having wars for long periods. This slows down meaningful economic developments in countries such as Somalia and has caused the deaths of many people. Poverty: Some member countries are unable to contribute money for running the organization because they are poor. This makes the organization unable to run some of its activities. Religious differences: Some member countries follow Islamic faith while the others are Christians. This makes it difficult for countries to reach agreements on certain issues. Low level of education: Most people in the region have very low levels of education. This makes it difficult for IGAD to inform them on what it is about. Lack of trust among the countries: Member countries do not trust each other and this makes them fail to fulfil what they have planned to do. Late payments have paralyzed activities in the secretariat. The issue of Somali piracy and civil wars is a stumbling block in the progress of this region. Below is an image of the IGAD Heads of State, meeting to discuss solutions to the problems facing the IGAD as a result of the political situation in Somalia.